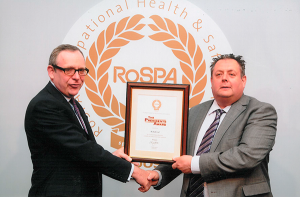 Rokill Ltd, of RINGWOOD, has had its approach to occupational safety and health recognised in an awards scheme run by the safety charity, the Royal Society for the Prevention of Accidents (RoSPA). 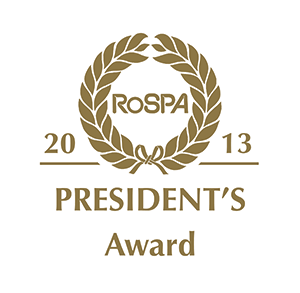 The President’s (10 consecutive Golds) award in the RoSPA Occupational Health and Safety Awards 2013 were presented in a ceremony at the Hilton Birmingham Metropole Hotel, at the National Exhibition Centre, on Thursday May 16, 2013. The majority of awards that RoSPA presents are non-competitive, marking achievement at merit, bronze, silver and gold levels. Organisations maintaining high standards can win gold medals, president’s awards and orders of distinction. 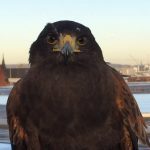 Competitive awards are presented in more than 20 sectors, and competitive awards also recognise excellence in specialist areas, such as the management of occupational road risk (MORR). The headline sponsor for the RoSPA Awards 2013 is NEBOSH (the National Examination Board in Occupational Safety and Health). Sponsors of specialist trophies are: The International Dilmun Environmental Award – GPIC; The MORR Trophy – Allianz; The Occupational Health Award (Astor Trophy) – BHSF; The Workforce Involvement in Safety and Health Trophy – Springfields Fuels; The MORR Technology Trophy – Tesco Dotcom and The RoSPA International Sector Award – airsweb. 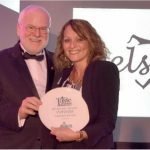 Three days of award ceremonies and three banquets were held in Birmingham from May 14-16, alongside Safety and Health Expo 2013, which is Europe’s leading annual health and safety exhibition. An award ceremony and gala dinner will also take place in Glasgow on September 19. See www.rospa.com/awards/ for more information about the RoSPA Occupational Health and Safety Awards. Darren Maton Rokill BDM receiving the award from Michael Hampson RoSPA Vice Chairman at the Hilton Metropole in Birmingham.